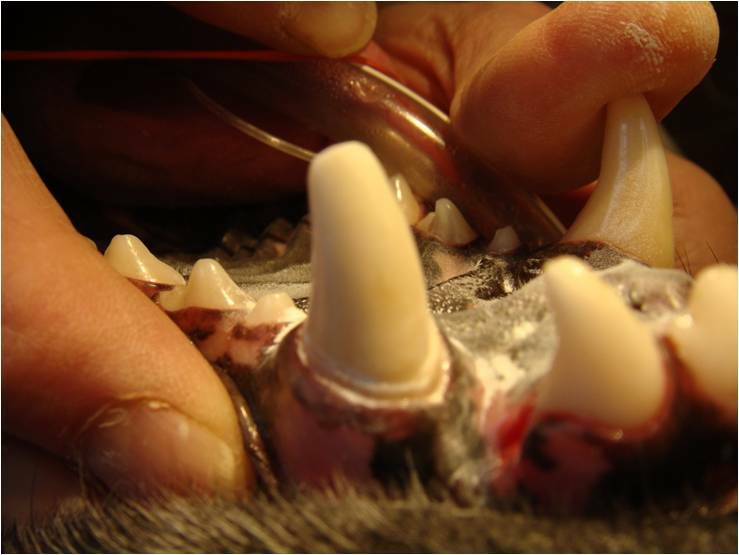 The Animal Dentistry and Oral Surgery Specialists can fabricate crowns to protect your pet's teeth! Chronic chewing activity can severely wear down teeth making them weak and subject to fracture (breaking). Behavior modification is the ideal solution to prevent continuous dental wear. 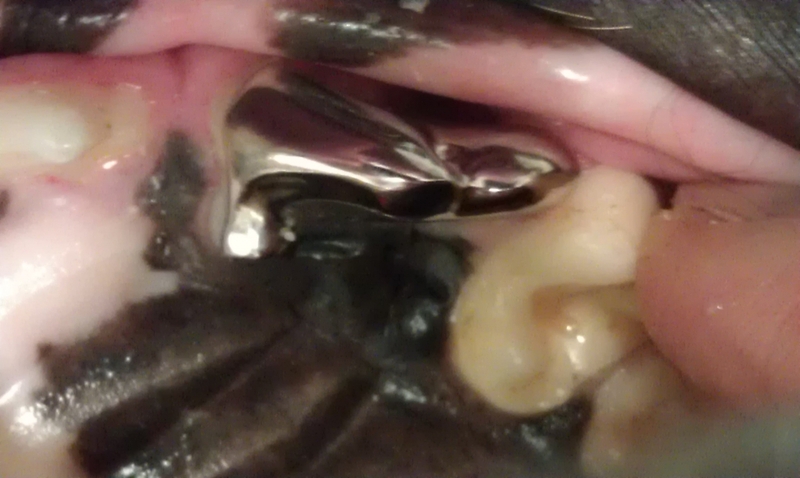 Crown therapy is no substitute for behavior modification, however; crowns can protect teeth from fracture. 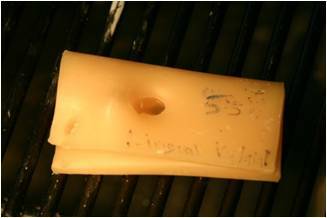 They can be fabricated to restore the tooth. 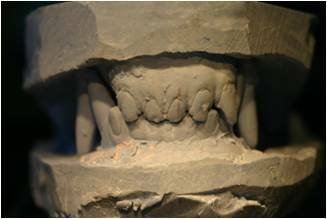 Preparation of the tooth for a crown is demonstrated. 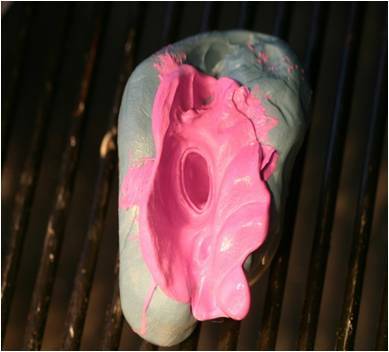 Impressions of the prepared tooth allow a laboratory to produce a crown that fits the tooth precisely. 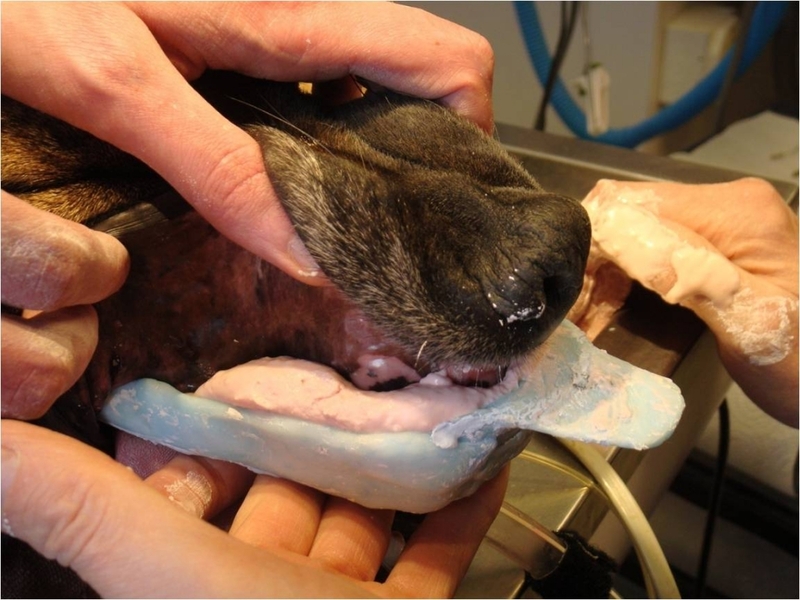 Impressions of the upper and the lower jaws allow us to produce exact models of your pet. 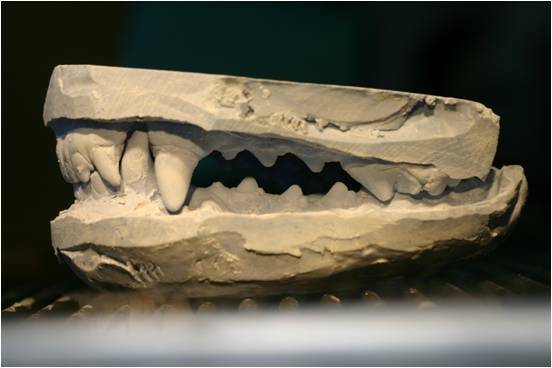 These models can then be used to replicate the bite (occlusion) to understand the exact positional relationship between the upper and lower teeth when the mouth is closed. 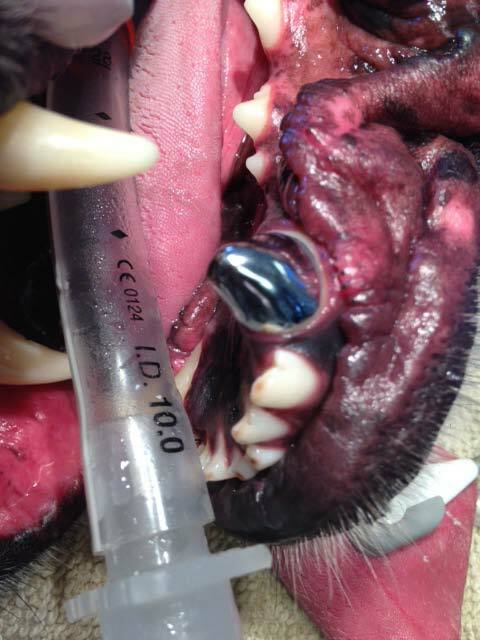 The yellow bite registration further allows the lab to understand the occlusion to ensure the proper fitment of the final crown. 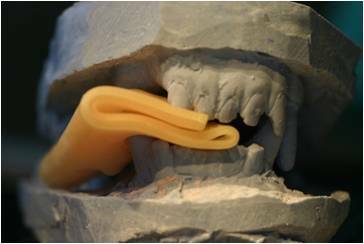 Models demonstrate the exact bite (below). 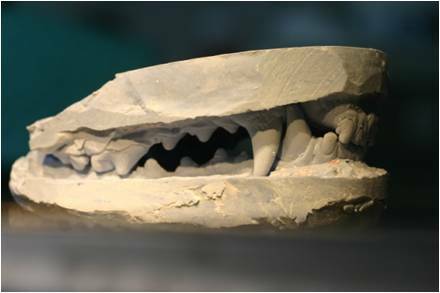 Crown is returned from the lab on a section from the pet's model. 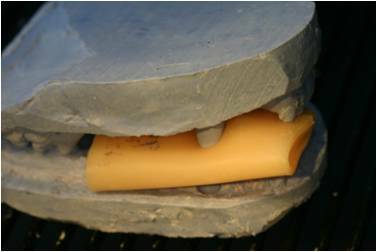 It is then cemented onto the prepared tooth. 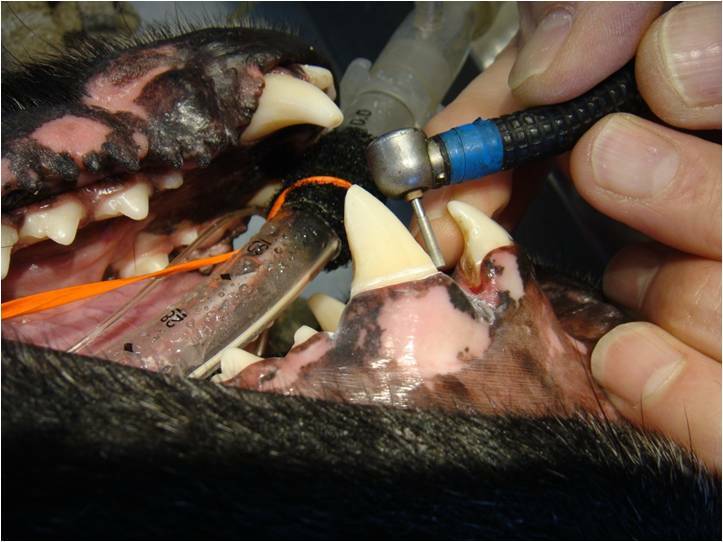 Other cases where crowns have recently been used to protect teeth!